Blog Why Are Podcasts so Popular and Are You Missing Out? Why Are Podcasts so Popular and Are You Missing Out? For those of us who don’t know, podcasts are episodic series of digital audio or video files that users can download or stream directly over the internet. Podcasts are usually, but not always, available via subscription, but many can also be found freely on social media sites such as YouTube. Some have labeled podcasts as the radio of the 21st century, bringing together multiple technologies such as video and audio, the internet, and the occasional portable media player. The arrival of podcasts is considered to be a disruptive technology that has caused some in the radio industry to rethink their traditional business practices. They also are looking at any preconceptions they may have had about their audience, content production, consumption, and distribution. Multiple benefits set podcasts apart from other means of communication. For starters, they are usually free of charge, meaning that interested listeners (qualified leads if you are selling something) will flock to it without any financial restriction. Secondly, podcasts can be created with little to no cost, other than the initial investment in equipment. Concerning monetization, podcast creators can allow companies to purchase Ad time or can make use of membership platforms such as Patreon, which can also provide the necessary tools to run a subscription-based service. To prove that podcasts are not merely a passing trend, numerous studies and reviews have been compiled to provide a much clearer picture of their impact, range, and overall effectiveness. For starters, there are over 525,000 active shows and over 18.5 million episodes, as of April 2018. Also, 44% of the entire US population has listened to a podcast at least once. It is up from 40% in 2017. It represents roughly 60 million homes or about half of all American households. Around 80% of them have listened to most, if not an entire episode, on average. Over the course of the next 12 months, 17% of marketers are planning to introduce podcasts into their marketing efforts. It’s also important to remember that podcasts are the most crucial source of audio consumption among podcast listeners. 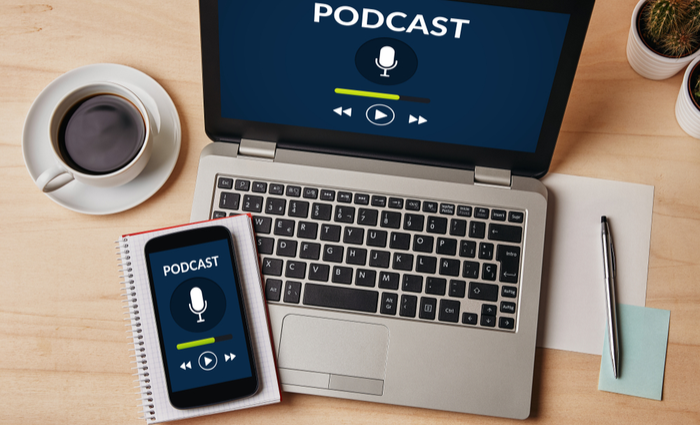 There are numerous benefits to podcasts as marketing tools. Not only are they easy to consume by listeners (think passive learning and entertainment), but they can also help you increase your reach and audience. They are inexpensive and quick to create. They give you an environment in which to interview industry experts, allowing you to build both trusts with your audience and increase your brand’s reputation. They can help you stand out from the competition and acquire more customers. Probably the most critical factor here is that you can properly educate your prospects about your products and services, as well as the industry as a whole. As long as you facilitate a channel that produces quality content that is relevant and useful to your listeners, a podcast can become the core of your digital marketing strategy as it can seamlessly integrate so many of the benefits that are in other marketing strategies. In short, podcasts are quickly becoming the future of storytelling, and you will be missing out if you do not jump on this particular bandwagon. We did! Check out “The Business of Content Podcast”. Subscribe and drop us a note!